To meet the ever-changing needs of warehouses in the new era of omni-channel, e-commerce, and the rise of on-demand shipping, the majority of companies are constantly looking for new product handling strategies above and beyond typical picking and counting methods. Crossdocking: Crossdocking is a pretty hot topic in the world of warehousing right now, but a lot of precautions and preliminary steps need to be taken before you can successfully implement a crossdock strategy. For items that need to be shipped out immediately or anything that you don’t need to store and maintain at the warehouse it was shipped to, you may want to consider loading products into outbound shipping directly from the dock they were received at. For the right items this can save you both time and space by preventing the need to store these items for the short-term. Pallet receiving: In any situation where goods come in with a single SKU on a single pallet, you might consider sending these goods right to reserve storage. Sync up the pallet quantities with how your pallet racks are set up to maximize space, and break each pallet down by customer requirements to better match how they will be shipped out and save labor in the long-term. Pre-allocation of goods into inventory: A lot of companies have begun to forgo having designated putaway and storage locations for their distribution centers in favor of keeping one common inventory to pull from no matter who they’re sending it to. Instead of having separate picking and receiving areas for different types of orders (direct to customer, distribution to other retail stores, etc), set up some wire shelving and warehouse storage to retain everything you have in inventory in one centralized location to be distributed and picked later. Keep cartons together in a single location: For retailers that deal in a variety of different items, the standard process is to separate every item when they get shipped regardless of if the items are all of similar type or quality. However, for retailers that offer faster shipment times a new method that has begun to prove successful is to keep these items in their original carton upon arrival and leave it in a designated location. 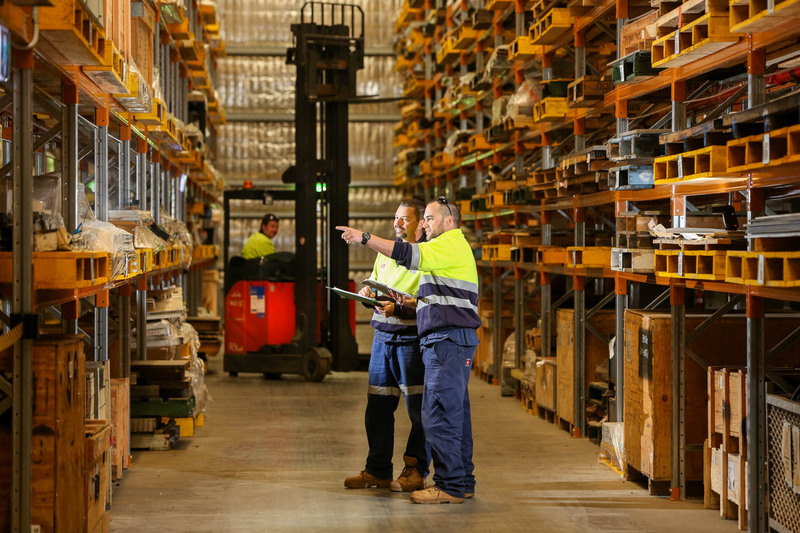 This can help workers track the items down more quickly and help to get them out the door faster – which in the world of e-commerce can make all the difference. Consider automation: It’s going to be a bit of a cost investment, but a lot of warehouses have begun to consider automating some of their more time-consuming processes in order to free up resources for the work that needs to be done by hand. Consider implementing automated/computerized inventory tracking, mechanized product relocation, and even automated packing in some circumstances to let your workers focus on their tasks more effectively.